Art is showcased during the first annual DeKalb/NIU Art Walk on Thursday, October 06, 2016 in DeKalb. The event, put on by the DeKalb Area Arts Council, featured art of various mediums spread out through 26 venues. 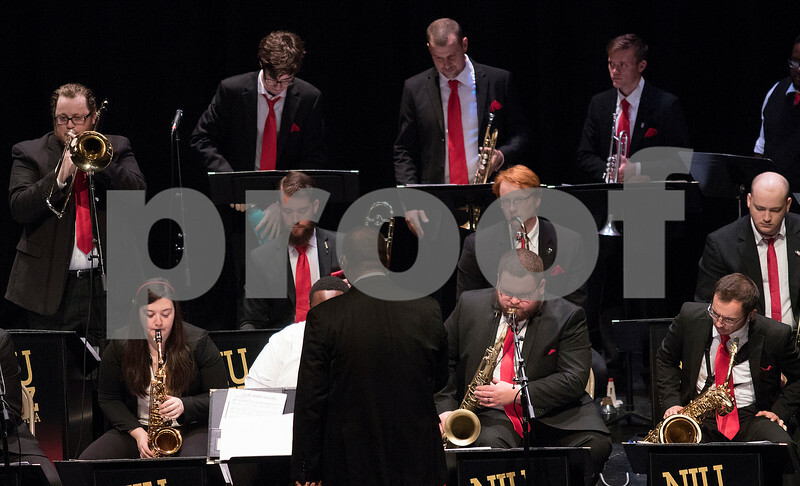 Members of the NIU Jazz Orchestra perform at the Egyptian Theatre on Thursday, October 06, 2016 in DeKalb. The event, put on by the DeKalb Area Arts Council, featured art of various mediums spread out through 26 venues.